Russ Housley has written two books and given many presnetations on the topics of internet security. On this page is a brief synopsis of each. An in-depth technical guide on the security technology driving Internet e-commerce expansion. "Planning for PKI" examines the number-one Internet security technology that will be widely adopted in the next two years. Written by two of the architects of the Internet PKI standards, this book provides authoritative technical guidance for network engineers, architects, and managers who need to implement the right PKI architecture for their organization. 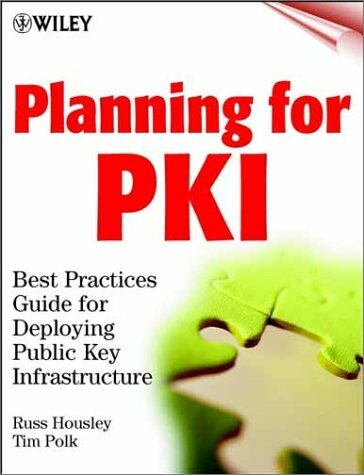 The authors discuss results and lessons learned from early PKI pilots, helping readers evaluate PKI deployment impact on current network architecture while avoiding the pitfalls of early technical mistakes. Four technical case studies detail the do's and don'ts of PKI implementation, illustrating both successes and failures of different deployments. Readers will also learn how to leverage future PKI-related technologies for additional benefits. In today's national and global enterprises where business is conducted across time zones and continents, the "e" in email could stand for "essential." Even more critical is rock-solid email security. 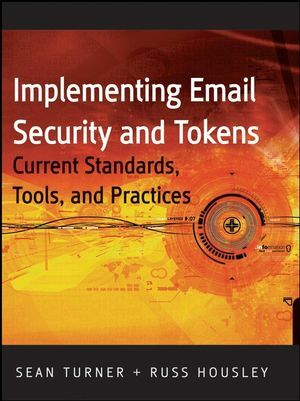 If you're the person charged with implementing that email security strategy, this book is for you. Backed with case studies, it offers the nuts-and-bolts information you need to understand your options, select products that meet your needs, and lock down your company's electronic communication systems.